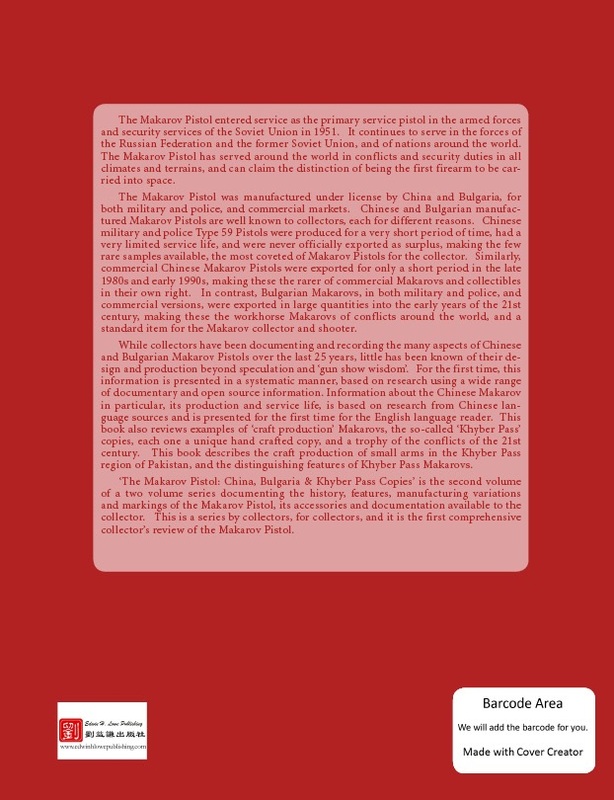 New Publication: The Makarov Pistol (Volume 2): China, Bulgaria & Khyber Pass Copies, by Henry C. Brown, Cameron S. White and Edwin H. Lowe. 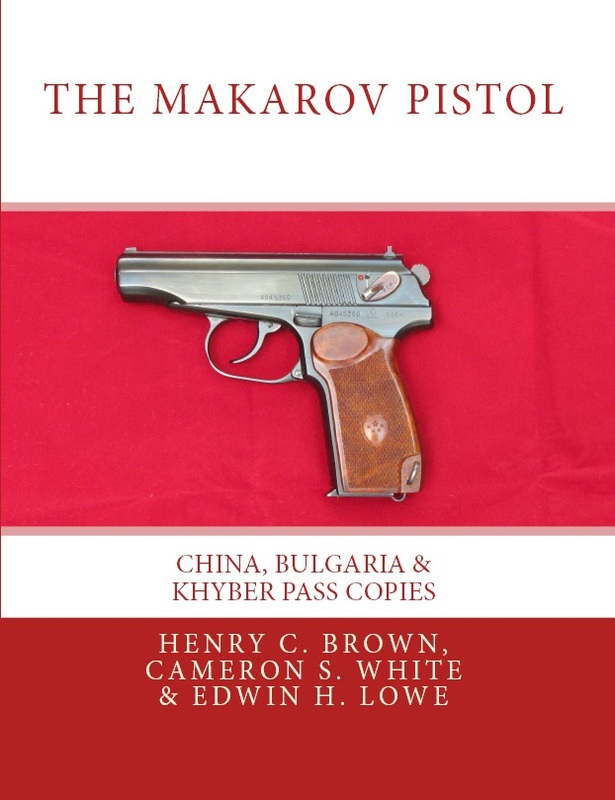 The Makarov Pistol (Volume 2): China, Bulgaria & Khyber Pass Copies by Henry C. Brown, Cameron S. White and Edwin H. Lowe (Edwin H. Lowe Publishing 2018). The Makarov Pistol entered service as the primary service pistol in the armed forces and security services of the Soviet Union in 1951. It continues to serve in the forces of the Russian Federation and the former Soviet Union, and of nations around the world. The Makarov Pistol has served around the world in conflicts and security duties in all climates and terrains, and can claim the distinction of being the first firearm to be carried into space. The Makarov Pistol was manufactured under license by China and Bulgaria, for both military and police, and commercial markets. Chinese and Bulgarian manufactured Makarov Pistols are well known to collectors, each for different reasons. Chinese military and police Type 59 Pistols were produced for a very short period of time, had a very limited service life, and were never officially exported as surplus, making the few rare samples available, the most coveted of Makarov Pistols for the collector. Similarly, commercial Chinese Makarov Pistols were exported for only a short period in the late 1980s and early 1990s, making these the rarer of commercial Makarovs and collectibles in their own right. In contrast, Bulgarian Makarovs, in both military and police, and commercial versions, were exported in large quantities into the early years of the 21st century, making these the workhorse Makarovs of conflicts around the world, and a standard item for the Makarov collector and shooter. While collectors have been documenting and recording the many aspects of Chinese and Bulgarian Makarov Pistols over the last 25 years, little has been known of their design and production beyond speculation and 'gun show wisdom'. For the first time, this information is presented in a systematic manner, based on research using a wide range of documentary and open source information. Information about the Chinese Makarov in particular, its production and service life, is based on research from Chinese language sources and is presented for the first time for the English language reader. This book also reviews examples of 'craft production' Makarovs, the so-called 'Khyber Pass' copies, each one a unique hand crafted copy, and a trophy of the conflicts of the 21st century. 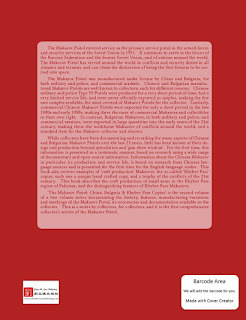 This book describes the craft production of small arms in the Khyber Pass region of Pakistan, and the distinguishing features of Khyber Pass Makarovs. 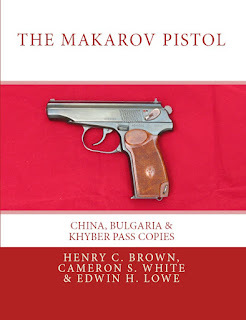 'The Makarov Pistol: China, Bulgaria & Khyber Pass Copies' is the second volume of a two volume series documenting the history, features, manufacturing variations and markings of the Makarov Pistol, its accessories and documentation available to the collector. This is a series by collectors, for collectors, and it is the first comprehensive collector's review of the Makarov Pistol.